PetChow, a sub-division of Und3rdog Studios, aims to create products that solve or simplify everyday problems for pet owners. The team is combining both hardware and software products for pets and their owners. They aim to create a platform for a secure, interactive, and healthy lifestyle for owners and pets, all from a mobile app. They hope to push the limits of technology to bring fresh and innovative products to market. 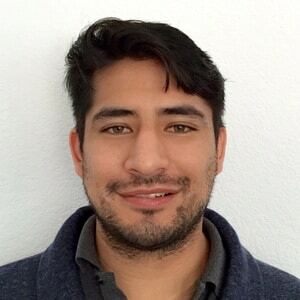 Christopher Widlowski is the founder and CEO/Designer for PetChow, and says he also handles the business development/management, social media, marketing, and networking for the team. The small Las Vegas-based team also includes Kyle Mayne, who is a 3D artist, product designer, project manager and has experience with 3D printing. The PetChow team has a crowdfunding campaign launching in May 2015 on SeedKicks.com. Christopher Widlowski says partnering with a new and growing crowdfunding platform will help the PetChow team have an advantage going into their campaign. Christopher Widlowski said being part of the VegasTech ecosystem has helped his team keep their mind open to new ideas and has helped them stay focused on which steps to take next to grow their company. 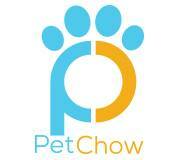 Sign up for the PetChow team’s newsletter to keep up to date about the company’s crowdfunding campaign launch. Interested in meeting more VegasTech startups? Check out our “Meet VegasTech Startups” series!